Wolf Hill has been a family owned and operated business since 1978. It was founded by brothers, Jim & John McKechnie. Our foundation is built on strong family values and dedication, which is the root to our success. We started out with one location in Gloucester, MA. This location consisted of a landscape division and after a few years grew into a retail store for garden center products and landscape supply materials to homeowners and local contractors. Since then, Wolf Hill has expanded to add another retail store in Ipswich, MA. Jim’s two daughters, Brittany and Lauren both work for Wolf Hill; John’s wife, Pam, and their two children, Mark and Rachel also work for Wolf Hill to keep it growing as a family owned & operated business for the unforeseeable future. Since we have grown over the years, we have added so much to our company; we are not just a small landscape company with a little retail store any longer. We have grown to offer so much more… we have your garden center needs; fertilizers, gardening tools, potting soils, grass seed, hoses, watering cans, pesticides, fungicides, bird seed, pest control and more. 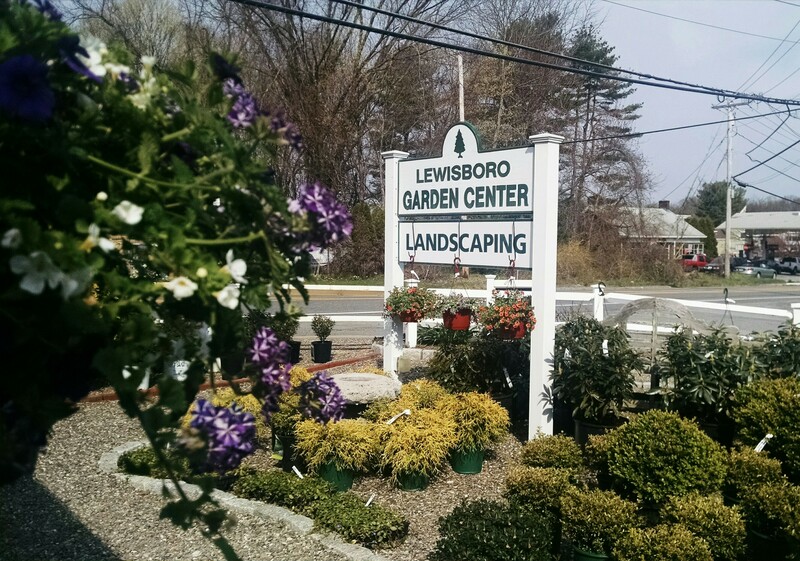 We have your nursey needs; annuals, perennials, trees, shrubs, herbs, and vegetables… fresh stock is delivered weekly during the spring & summer months. We have your furniture needs; indoor & outdoor furniture. We have your gift & garden accent needs; fresh & artificial wreaths & arrangements, pottery, statuary, fountains, gazing globes, birdbaths, bird & hummingbird feeders, non-perishable edible items (salsa, mustard, jam, peanuts, pickled vegetables… all made here in the USA!). We have your heating sources; seasoned & kiln dried firewood, wood pellets, and compressed bricks. We have everything for your landscape needs; screened loam, compost, crushed & washed stone, road pac & stone dust, 5+ different colors of mulch, concrete & mason sand… all are available in bulk and in bags. We also have bricks & pavers for your patio, walkway, or driveway. Need your items delivered? Don’t worry, we deliver all over the North Shore! Wolf Hill caters to our contractors, they get first priority in deliveries. We offer wholesale pricing to our contractor customers. The main reason we are still in business today is because of our local community base. Without the support of our customers, there is no way we could still be in business today with the huge competition we face daily from the ‘big box stores’. Without your support, Wolf Hill would not exist. Come stop by a Wolf Hill near you today… both locations are filled with friendly, knowledgeable staff that are willing to help their customers in any way possible. We are here for YOU, since you have been there for us!